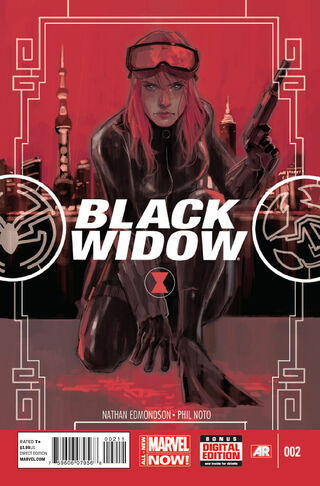 Black Widow: Tsarina's ability goes off each time she attacks, for each copy of her die. So if a player attacks with 3 Black Widow dice, the opponent might take 6 damage (total) from the ability. If Black Widow returns to the Field Zone after using her ability, and attacks again later, her ability would trigger just as it did the first time. Ant-Man: The Insect World: When fielded, you may pay 1 life to spin Ant-Man up one level. Atom: Dr. Ray Palmer: At the beginning and end of your turn, you may spin up or down Atom. Atom cannot be dealt combat damage by higher level character dice. Atom: Great Compassion: At the beginning and end of your turn, you may level up or down Atom. Atom cannot be affected by abilities of higher level characters. Atom: Professor of Physics: At the beginning and end of your turn, you may level up or down Atom. When blocking or blocked by a character of higher level, you may spin Atom up to level 3 or remove him from combat. Captain America: The First Avenger: While active, whenever you take non-combat damage, spin this character up one level. Captain Marvel: Human/Kree Hybrid: When Captain Marvel deals combat damage, spin all of your character dice up one level. Colossus: Unstoppable: At the end of your turn, spin each of your Colossus in the field up one level. Focus Power: Basic Action Card: Spin one target character up or down one level. Kingpin: Empire Builder: When Kingpin takes damage, spin him up 1 level. Marvel Girl: Humanity: When you are attacked, you may spin up Marvel Girl one level. If you do, gain 2 life. Marvel Girl: Telepath: When fielded, you may pay to spin one character down a level and spin Marvel Girl up one level. Red Hulk: Thunderbolt Ross: If Red Hulk is damaged in an attack phase but not knocked out, spin him up one level at the end of the turn. Sabretooth: Something to Prove: At the beginning of your turn, spin each of your fielded Sabretooth dice up one level. She-Hulk: Jennifer Walters: If She-Hulk is blocked, spin her up one level (this happens before damage is assigned). Vision: Density Control: When Vision blocks, you may spin him up one level. Batman™: The Caped Crusader: Whenever Batman damages a Villain, gain 1 life. Global: Once per turn pay or . The first time you play a basic action die this turn, gain 1 life. Beast: Bouncing Blue Beast: If Beast is KO'd while attacking, gain 2 life. Beast: Kreature: When Beast blocks, spin the blocked character down 1 level. If it is already level 1, knock it out. If the blocked character is knocked out by this, gain 2 life. Captain America: Star-Spangled Avenger: When fielded, knock out each of your opponent's Sidekick characters. Gain 1 life for each Sidekick knocked out this way. Captain Marvel: Inspiration: When Captain Marvel deals combat damage, gain 2 life. Captain Universe: Uni-Power: When fielded, draw and roll a die. If you rolled a character face on an die, gain 1 life and repeat this effect once. Place dice rolled from this effect into your Prep Area. Constantine: Trinity War: Once per turn, when fielded, gain 1 life. Iron Man: Philanthropist: Each time Iron Man takes damage, you gain 1 life. Juggernaut: Archvillain: When fielded, if your opponent has no Villains in the field, you may move one of your Sidekicks to your used pile to deal 1 damage to your opponent and gain 1 life. Marvel Girl: Superhero: Heroic: When fielded, Marvel Girl may pair up with a different Heroic character until the start of your next turn. While Marvel Girl is paired up, when she or her partner attacks, you may spin down one non-Heroic character and gain 1 life. Mummy: Greater Undead: Energy Drain (spin down engaged foes). If one or more of your Mummies damages your opponent, gain life equal to the level of your highest level Mummy. Mystical Elf: Mystical Healing: When summoned, gain 1 life. Mystical Elf: Everlasting Support: When this monster is knocked out, gain 2 life and move a die from your used pile to your prep area (excluding this one). Professor X: Founder: Heroic: When fielded, Professor X may pair up with a different Heroic character until the start of your next turn. While Professor X is paired up, gain 1 life when either he and/or his partner attack. Red Skull: Johann Schmidt: If Red Skull is KO'd, your opponent chooses: either Red Skull deals 2 damage to your opponent or you gain 2 life. She-Hulk: Superhero: Heroic: When fielded, She-Hulk may pair up with a different Heroic character until the start of your next turn. While She-Hulk is paired up, gain 2 life each time she and/or her partner is blocked. Thor: The Mighty: When fielded, you may knock out an opposing character and gain life equal to its level. Troll: Apprentice Humanoid: Regenerate (reroll when knocked out). The first time each turn a Troll regenerates, gain 2 life. Unicorn: Lesser Beast: While active, gain 1 life the first time each turn you field a good character. Vampire: Apprentice Undead: Energy Drain (spin down engaged foes). The first time each turn an attacking Vampire damages a character, gain 2 life, then draw a die and place it in your prep area. Vampire: Master Undead: Energy Drain (spin down engaged foes). The first time each turn an attacking Vampire knocks out an adventurer, you gain 1 life and your opponent loses 1 life. Vampire: Minion Undead: Energy Drain (spin down engaged foes). The first time each turn an attacking Vampire damages a character, gain 1 life. Venom: Mac Gargan: If Venom blocks and knocks out a non- character, he deals 2 damage to your opponent and you gain 1 life. War Machine: Combat Comrade, James Rhodes, Parnell Jacobs Global Ability: When one of your characters damages your opponent in the attack step, pay to gain 1 life. 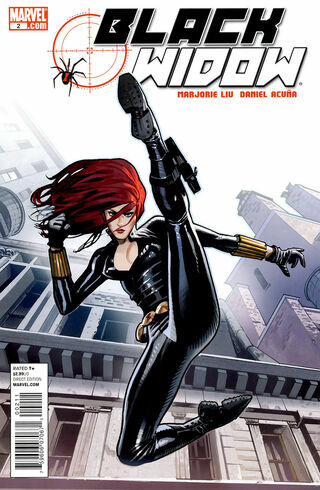 ^ Black Widow Vol 5 2. Marvel Wikia Database. Retrieved 15 August 2015.